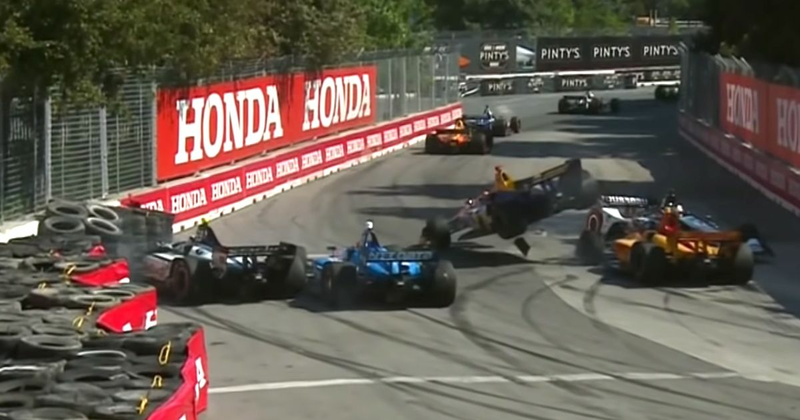 Street races can always threaten to be a bit manic and at one point, the race at Toronto went full IndyCar. A caution came out when Andretti teammates Ryan Hunter-Reay and Alexander Rossi both damaged their front wings at the same time - albeit in completely separate incidents. At the restart, the combination of tyre marbles, a bumpy track, and slidey IndyCars on cold tyres combined to create carnage. Despite his little brush with the barrier Josef Newgarden went on to finish ninth, whilst Scott Dixon capitalised and went on to win, despite having his own brush with the wall at one point. Simon Pagenaud finished second with rookie Robert Wickens scoring a podium on home turf. With Hunter-Reay, Rossi, and Will Power all having races to forget, Dixon now has a sizeable 62-point advantage in the championship over Newgarden. Anything can happen but with five races to go, title number five is looking ever more likely for the New Zealander.